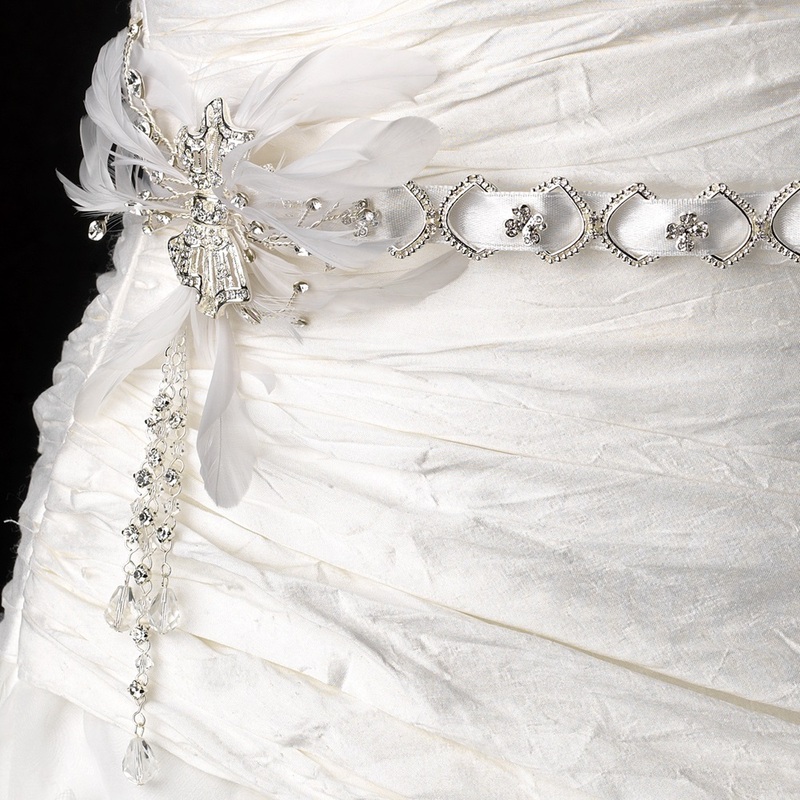 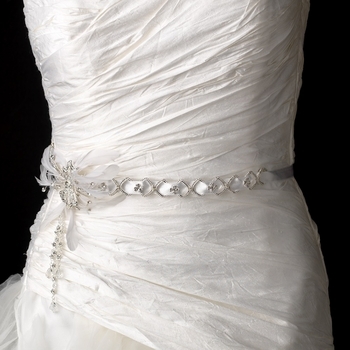 This lovely white satin bridal headband or belt is woven through a silver plated buckle detail band and features a stunning silver plated bow with rhinestone and swarovski accents. 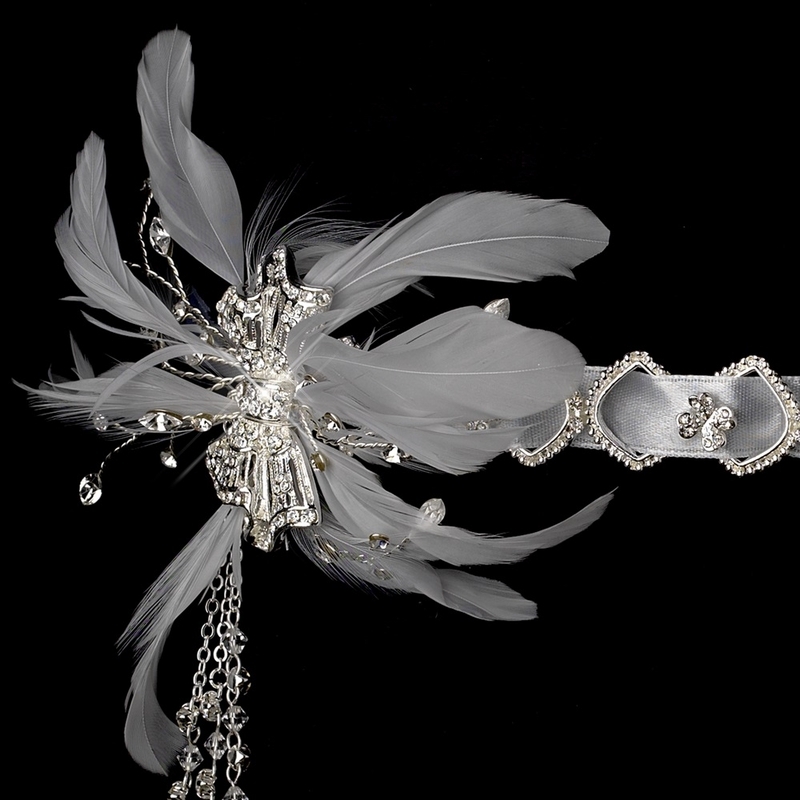 The ornament is set to the side on a bed of feathers. The ornamented portion of the band measures 9-1/2" wide and 3/4" tall, and the side ornament measures 4-1/2" wide and 4-1/2" tall. This versatile accessory is fastened with two 35" satin ribbons that tie beneath your hair or around your waist. 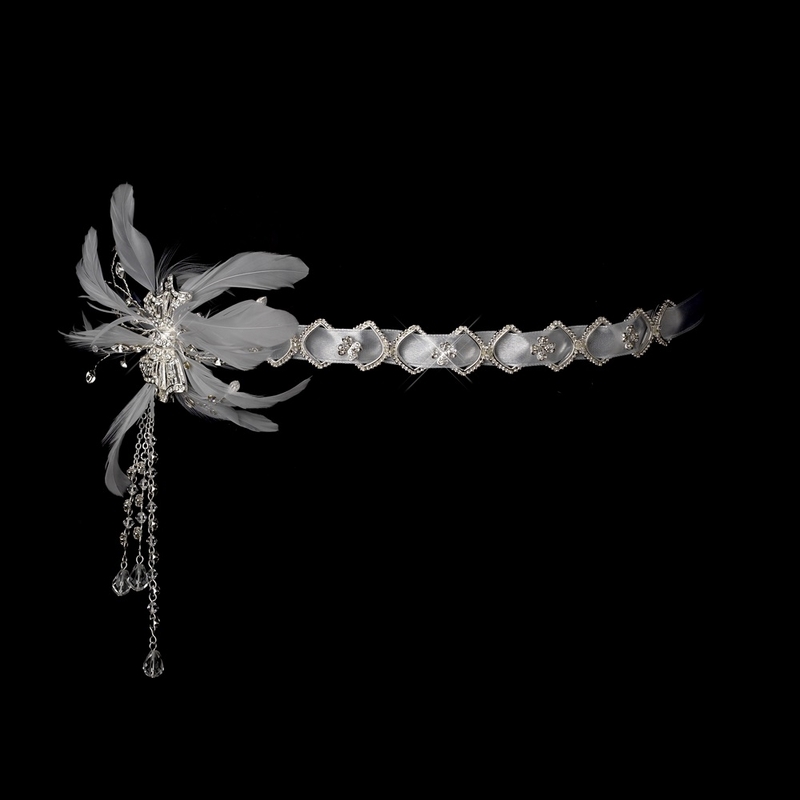 A chain of rhinestones and swarovski crystals dangle 3" from one side.